The programme was introduced by Dr Ashok Bhagat (Dean-IB) who emphasized the need of 3 Ds in life ie Discipline , Dedication and Determination. Welcome address was delivered by h by Dr. J.K. Goyal, Director who .advised the students to start preparing for employ ability as the problem is not in the employment opportunities . 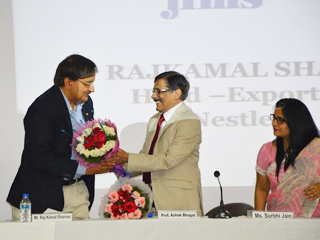 Mr Rajakamal Sharma explained about the opportunities in International Business and shared his 36 years of experience in this Industry. 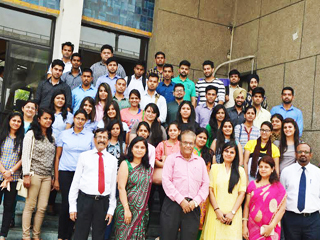 The program was well attended by the Alumni’s of PGDM-IB who are working in various corporate like Star India, Adani Logistics, RBS. 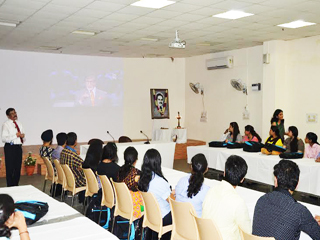 The Second session of the programme was lead by Dr Ashok Bhagat (Dean-IB) introducing the rules and regulations to be followed by the students in the Campus. Introduction of various department including CMP, Placement Team were done by respective HODs. 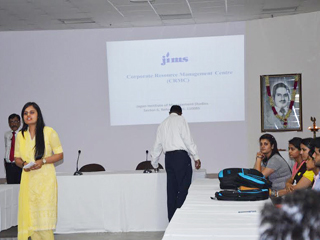 The third session of the programme was lead by Prof S.C Kapoor and his team on the topic “Campus to Corporate”. 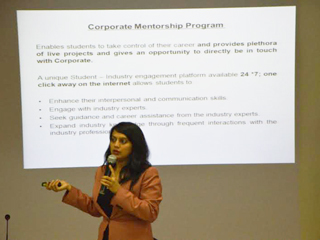 The session was conceptualized to groom students with skills like Interpersonal Communication, Personality Development, Leadership & Team Building, Presentation Skills, Negotiating Skills; as was well appreciated by the new joinees.